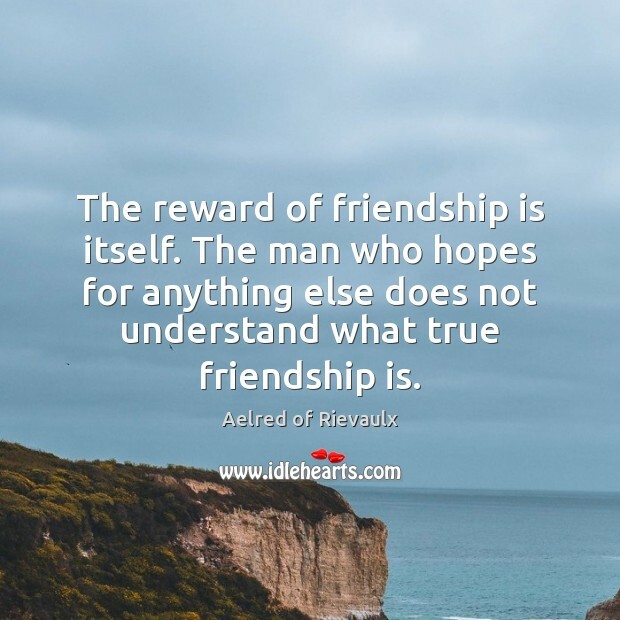 Enjoy the best inspirational, motivational, positive, funny and famous quotes by Aelred of Rievaulx. Use words and picture quotations to push forward and inspire you keep going in life! 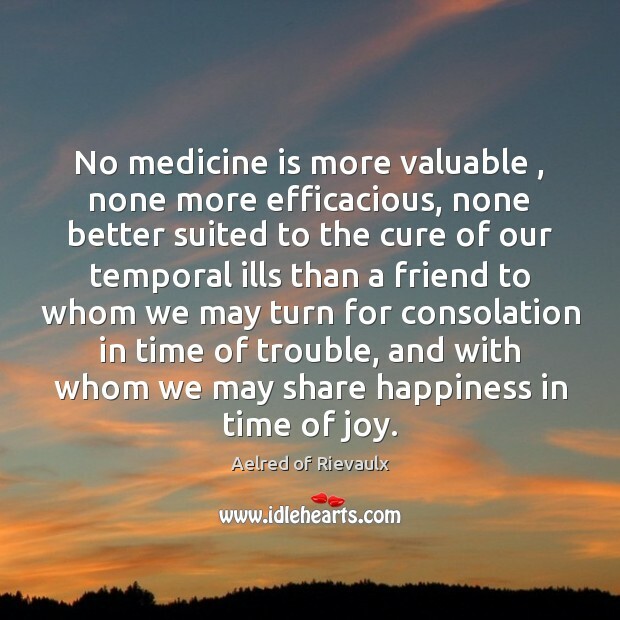 No medicine is more valuable , none more efficacious, none better suited to the cure of our temporal ills than a friend to whom we may turn for consolation in time of trouble, and with whom we may share happiness in time of joy. 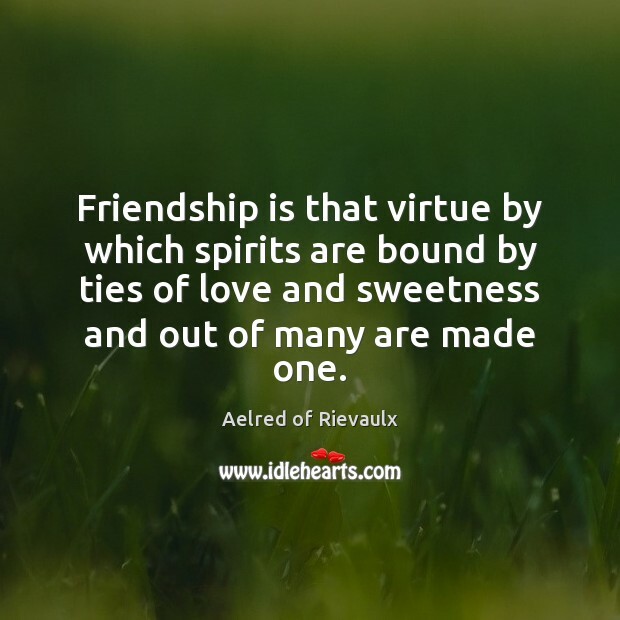 Friendship is that virtue by which spirits are bound by ties of love and sweetness and out of many are made one. 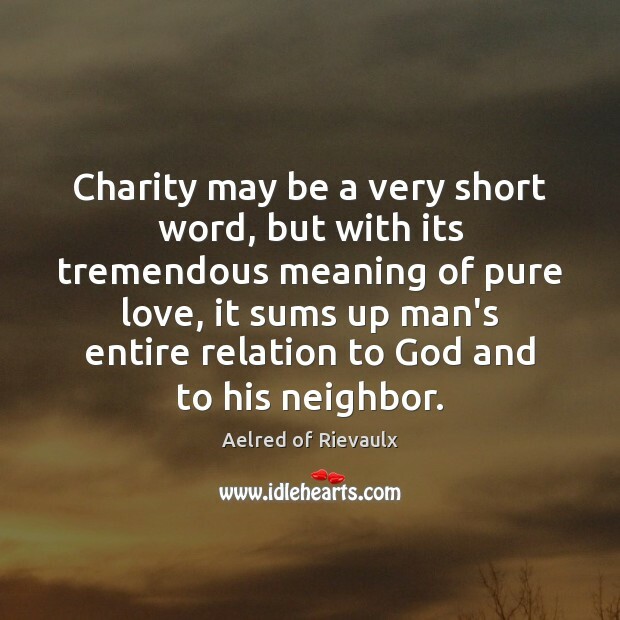 Charity may be a very short word, but with its tremendous meaning of pure love, it sums up man's entire relation to God and to his neighbor.